Yesterday I stirred up something like a cooking project tornado. I must have been energized by my glass of kombucha or something, but I decided I was going to experiment with fruit. I love experimenting with fruit! So - the first fruit batch I got my hands on was a bowl full of apples that I had foraged (I foraged! Theoretically, I feel like that should be filed under Indiana Jones. However, I was more like a dressed in pink girl wearing cowboy boots standing on a dirt road getting bitten by bugs while throwing apples from a wild apple tree into a bag.). No, I did not steal them. These were wild apples out in God's country and I finally got to see why on earth those orchard people love to spray their apples with pesticides - mine looked like they went through a war. But they tasted fine. And I'd rather have non-perfect looking apples than those that look perfect but contain poisons (apples top the pesticide list, now you know why! )...even ask Snow White how she feels on that one. I didn't know how much it would yield, so I just decided to go for applesauce instead of apple pie or something more complicated. And plus, it is relatively difficult to mess up making applesauce. It was yum! The offsprings were making passes through the kitchen to sneak bites. It was easy, it was done. So I thought, what's next? What could I possibly get my apply hands on now? I need a bit more of a challenge! A spattering, staining, deep purple challenge I got! The lightbulb went on...ah! Yes! The concord grapes! I could make jelly or jam! Why not? After all, the offsprings decided it was too much effort to eat these grapes (that is seriously pathetic), what with all the bittery sour skin and then spitting out the seeds that were the size of half the grape in the first place. That delicious goo was stacking up short compared to the challenge of eating them. 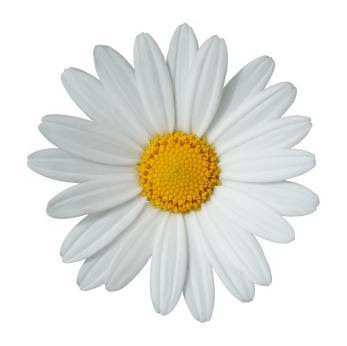 I looked online and found something I liked very much. Here's why. Almost all of your jelly/jam/preserves recipes are going to have two things that I HATE in them. The first thing is 9,285 gallons of sugar and the second is artificial pectin. It seems like a fruit massacre when you do stuff like that. I can't be bothered to participate in such fruit murdering nonsense. This recipe, however, had neither one of these disgraceful things! Glory and hallelujah. You need - concord grapes, sugar (but not 9,285 gallons), a stainless steel pot, a bowl, a strainer, a wooden spoon and a little bit of time. 1. Wash off your grapes. Duh. 2. Squeeze the grape inside out of its skin. Put the skins in one bowl and put the grape insides into the stainless steel pot. This can become rather fun if you get into a good fast pattern. 3. Warm up the mushy gooey insides over medium heat. Meanwhile, stare at the bowl of grape carcasses in amazement. 4. Bring your mushy gooey grape insides to a boil and watch as they turn into a total pool of gush. This takes about five minutes. 5. This is the challenging part: when it becomes goo, now you get to figure out how to get the seeds out of the puddle. This is done by mainly burning your hands on boiling goo when you realize your strainer is completely useless and the technique you are using with your wooden spoon is made for someone else who is a whiz-bang in this area. This is when I poured the goo into a cheesecloth folded over doubly and then I began strangling it into the pot. I hoped that I could make the seeds stay in the cheesecloth, and some of them did, but mostly they shot out like bullets. Hot bullets. And boiling hot goo. I ended up fishing them out mostly with my fingers for the ones I could not manage with the cheesecloth. 6. Stare at your new puddle of goo. Think, "Oh crap, is this all it makes?!" 7. Put it back on the heat anyway. Add in the grape skin carcasses to the mix. Squash everything up like one big happy family. Boil it again for about two minutes and notice how everything looks a very stainingly dark color now. Kinda like grape jelly. Oh wait, it is supposed to be something like that. Good. Would you get a load of that fabulousness?! 8. Add sugar. I used 1 cup. I don't know how much fruit I started out with, though. It filled up a large bowl. The original recipe said 3 cups of sugar. I never do that. That would be over the top. I like the taste of fruit more than I like the taste of sugar, anyway. 9. Mix it up again and try to get it to 220 F. This is pretty much impossible since it boils way before that and spatters all over everything in your kitchen within a twelve foot radius. My kitchen isn't even twelve feet long, so you can imagine. And remember the color of it? Yeah, don't worry, you won't be forgetting it any time soon. 10. Put that pot of preserves into your handy-dandy jar that you were just waiting to use for such an occasion. I popped it right into the fridge to use asap, but I suppose if you're into complicated next steps like using the pressure cooker, go right ahead and can it properly for long-term storage. Mine was for short-term eating. It made about a cup and a half of preserves. And the color was very delightful. You could paint your kitchen with it. You may need to after you get done with the spattering. It was all worth it in the morning, though, when I had it on homemade toast with scrambled free-range eggs and cracked black pepper and pink salt while I sipped my new favorite tea (no thanks to you, Typhoo, you pesticide-laden naughty pants! 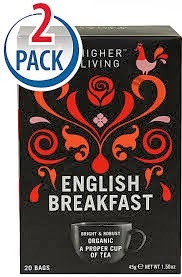 ), Higher Living organic English Breakfast.